Spring Equinox was on Friday, so yay! Spring has officially arrived ! It is still a bit chilly here in the North West, but the sun is shining, the windows are open, I've even had laundry hanging out to dry this week. So, time for a touch of spring colour in my wardrobe. 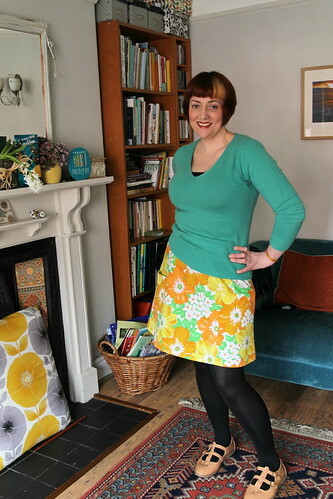 My spring time Maude skirt, sample number three (I have yet to blog sample number two, but there is a sneaky peek here ). She is bright and cheery this one, I'm very pleased with her, and am in the midst of grading ready for testing. Made from a vintage sheet , unlined and finished at the waist with gross grain ribbon. I can see me wearing this lots over the coming months, and hopefully soon without tights! 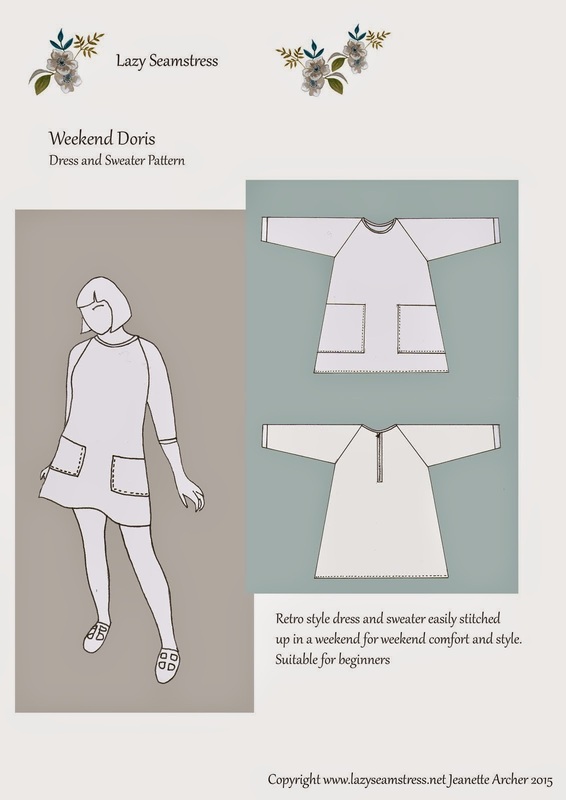 In other news the Weekend Doris dress and sweater pattern is now back in stock (paper version), I underestimated how popular the paper version would be. Don't forget though, the PDF version is available as an instant download anytime, including a print at home an assemble file as well as a file you can take to your local printers and print on one sheet. My local printers charges a little over £3 for this service, but it's well worth it if you don't want to assemble the pattern yourself. Click the image below to go to my Etsy store. Looking forward to wearing Maude myself, I have fabric squirreled away ready for her, I too will be looking for the paper pattern. No. 3 is a bobby dazzler, I do like a blast of colour. That's a really happy skirt, love it. Great that the pattern us so popular, you must be chuffed. I love this skirt, I can't wait for the pattern to come out!